GoIP SMB 32 - 32-SIM-card Bank has storage array for 32 SIM cards. It supports up to 32 independent SIM connections. GoIP SMB 32 works with Go-IP4, Go-IP8, GoIP-16 and is compatible with service GoAntiFraud. 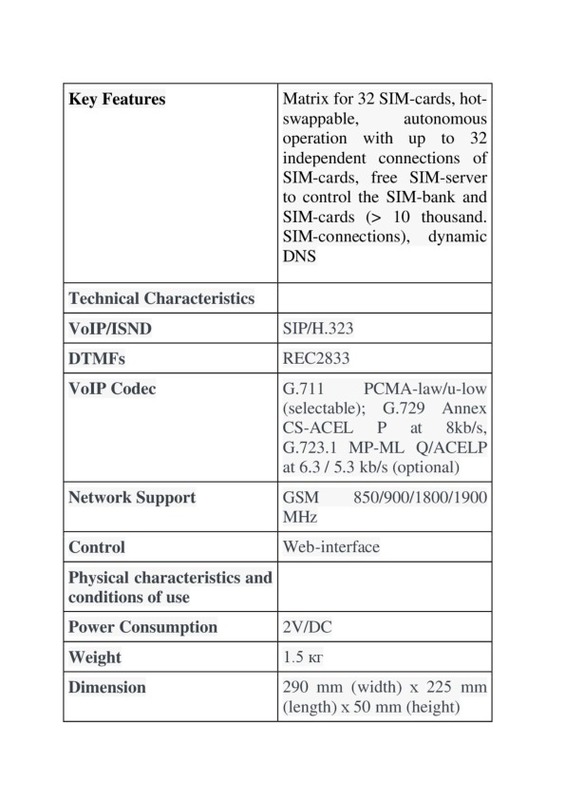 GoIP SMB 32 is a 32 SIM-card bank to remotely load SIM-cards in the VoIP GSM gateway channels. The device is designed for fast and efficient operations together with several GoIP gateways. The equipment comes with the GoAntiFraud software and the embedded SIM-server. This software allows setting up automatic top-up, and SIM-card hot-swapping according to schedule, as well as protection against the SIM-lock.